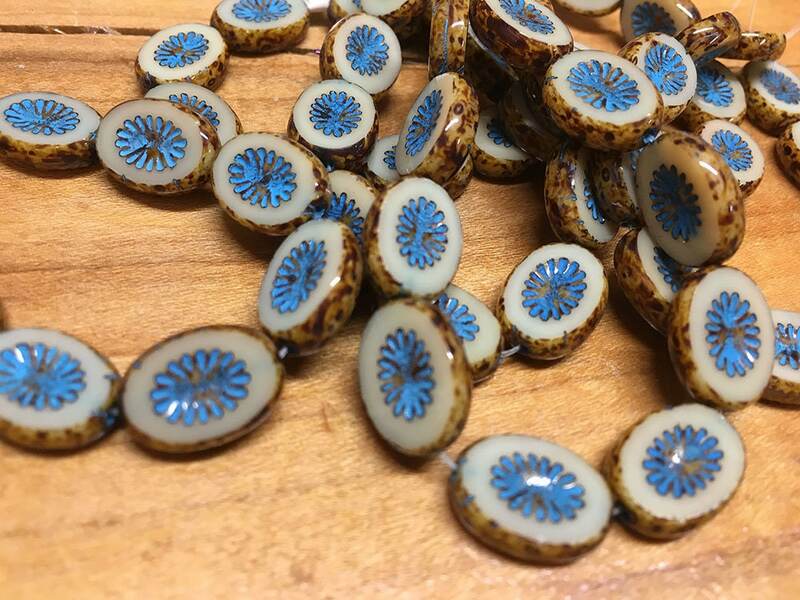 Beige and turquoise kiwi carved oval beads, picasso finish Czech pressed glass carved oval beads; Picasso finish on edges and center which is a star or floral carved pattern! Beads are 14mm x 10 mm. You will receive on strand of 10 beads.